Two great spiritual masters share their own hard-won wisdom about living with joy even in the face of adversity. From the beginning the book was envisioned as a three-layer birthday cake: their own stories and teachings about joy, the most recent findings in the science of deep happiness, and the daily practices that anchor their own emotional and spiritual lives. 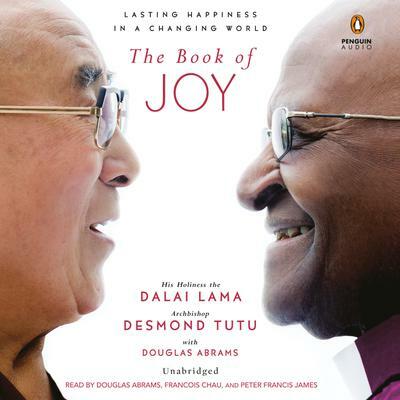 Both the Dalai Lama and Archbishop Tutu have been tested by great personal and national adversity, and here they share their personal stories of struggle and renewal. Now that they are both in their eighties, they especially want to spread the core message that to have joy yourself, you must bring joy to others. Most of all, during that landmark week in Dharamsala, they demonstrated by their own exuberance, compassion, and humor how joy can be transformed from a fleeting emotion into an enduring way of life.